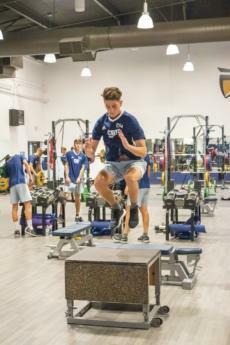 Danielle Lutjens | Banner Chris Heckenberg, sophomore engineering major, does ballistic movements with box jumps as he trains his muscles for the upcoming spring season scrimmages. Courtesy of Athletics | CBU's first-ever WAC Golfer of the Month honoree for September and October, Erica Wang, senior business administration major, eyes the ball after a putt. The golf team finished it's fall season and will resume in January. 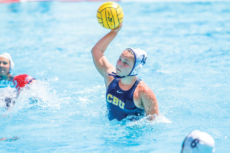 Courtesy of Athletics Kira O’Donell, sophomore behavioral science major, looks to pass the ball to her teammates during a game against the Fresno State University Bulldogs. The Lancers finished the 2018 season with a 17-17 overall record. 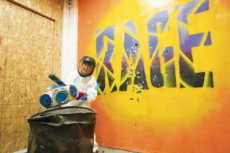 Danielle Lutjens | Banner | Hannah Wolfe, 2018 CBU alumni, takes her frustration out and has some fun by smashing things to bits at Rage Ground in LA. 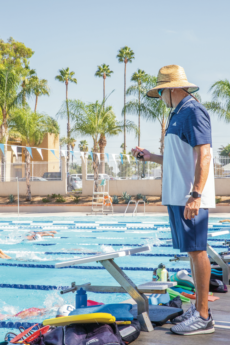 Danielle Lutjens | CBU’s head swim coach, Rick Rowland, is a 20-year swim coaching veteran and continues to push the lancers forward towards victory.